One of the last stops of the long-distance yacht race was Lorient. For logistical reasons, the Polidome 300 large outdoor event tent purchased by VOR could not reach the port on time. Once again, we were called in to help. From our warehouse, a similar geodesic dome structure, a Polidome 300 with a black and white branded membrane made by Mehler Texnologies, was delivered to France on time. To ensure safety and easy access, the large event marquee was equipped with two arched entrances along with aluminium doors and two additional entrances. The safety of the sphere dome tent (in accordance with the European standards) was ensured by a Pollywood steel floor and hidden water ballast system. The POLIDOMES team was fully responsible for the assembly of this marquee. Inside the P300 marquee, guests could experience the emotions and sensations of the VOR race teams first-hand. The race teams’ motto is ‘Another day at the office’ but that far from does their work justice. 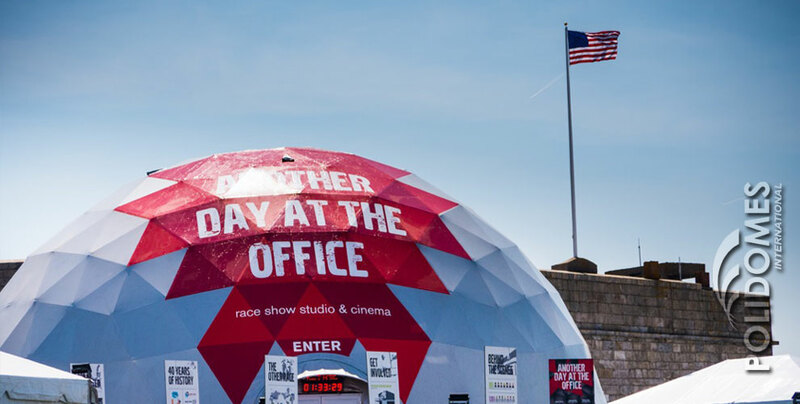 The POLIDOMES geodesic cinema was designed to present the everyday ‘routine’ of the yacht crews to enthusiasts. We are very proud and grateful to the Volvo Company for its trust and loyalty. Polidomes geo dome tents reached 6 continents and they were easily assembled / disassembled by international teams (consisting mainly of local people in a certain country). 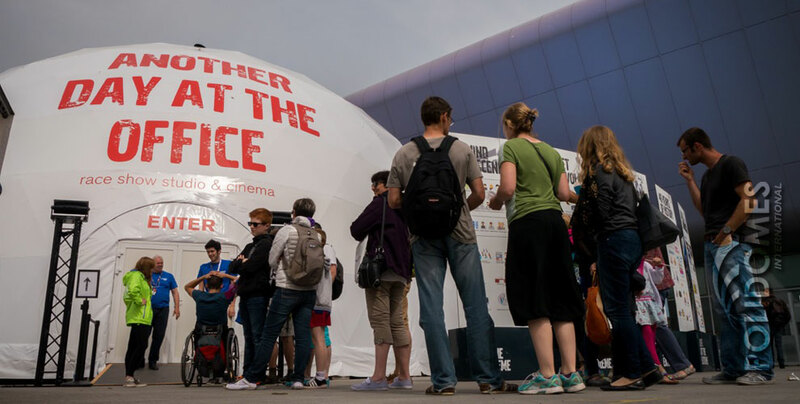 Most importantly, cinema dome tent from Polidomes constituted a safe event space in all climate zones and they have passed the exam for A+! The quality of both Polidomes geodesic structures and services provided by our company was appreciated by the organizers – references VOR. If you have any questions about our marquee, feel free to contact us.